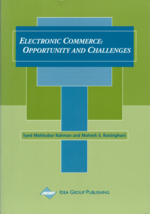 In the Communication on Electronic Commerce of 19971 , the European Commission stressed that “in order to allow electronic commerce operators to reap the full benefits of the Single Market, it is essential to avoid regulatory inconsistencies and to ensure a coherent legal and regulatory framework for electronic commerce.” The electronic marketplace has a crucial need to know “the rules of the game”2 in order to carry out electronic commerce. Therefore, the regulatory framework has to be clear, stable and predictable, both to enable e-commerce operators to face all challenges raised by the development of new products and services and to ensure the trust and confidence of consumers in the new electronic supermarket. These are the main objectives of the legislative action of the European Commission3 which has, in recent years, laid the foundations for a consistent setting of the legal scene for electronic commerce in Europe. It is worth recalling that the action of the Commission has been and should be guided by the key principles of the EC Treaty, particularly by the concern for the Internal Market and the enhancement of the circulation of products and services. A clear consequence is that any regulatory intervention of the Commission should be directed to a further harmonization or clarification of the existing rules in order to lift the uncertainties and discrepancies in national policies which might impede the free circulation of electronic goods and services. Other key concerns of the European Commission are to refrain from over-regulating electronic markets and businesses and to remain open to a self-regulatory approach and alternative dispute resolution. This last guideline is particularly followed in the recent Draft Directive on electronic commerce4 .